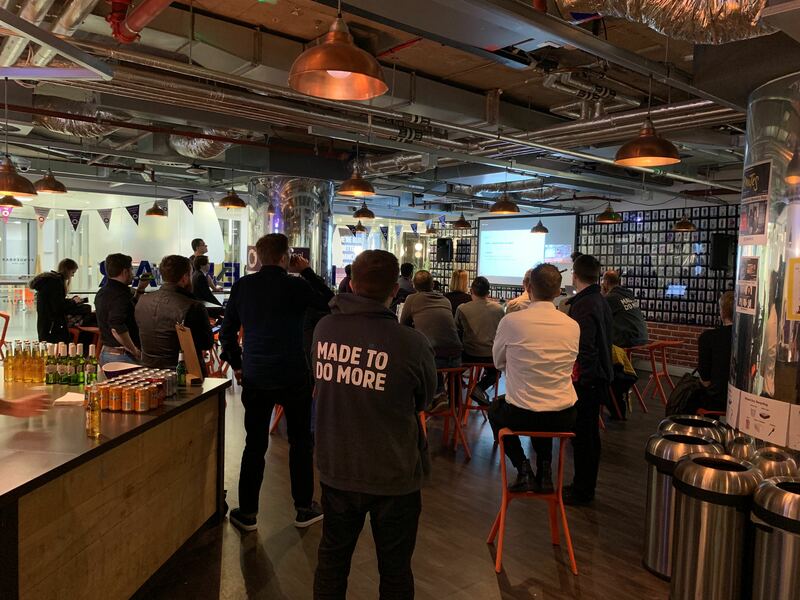 Funding Circle hosted its 4th ClojureCircle meet-up on 7th March 2019. 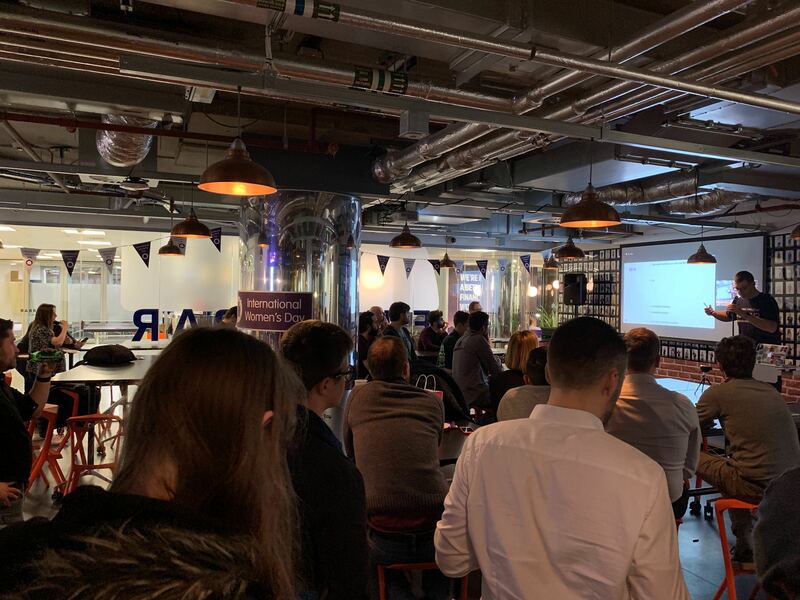 Despite cold, rainy and windy weather on the day, many Clojure community engineers came to the event to listen to the talks, socialise and exchange their experiences. Our host, Sasha Gerrand (Principal Engineer at Funding Circle), kicked the meetup off by welcoming attendees and presenting the speakers. The first speaker was Avi Flax (Principal Engineer at Funding Circle). Avi introduced the FC4 Framework, a software package that allows software engineers to create, publish, and maintain software architecture diagrams (the original announcement post for it is still available). The FC4 Framework is based on Simon Brown’s C4 model. Avi shared his passion for clear, precise and rich diagrams as a tool to express architectural ideas. Keigo Suzukawa (Software Engineer at Funding Circle), presented straight after Avi. He continued the broad theme of improving the effectiveness of software engineers and described how a sluggishly written codebase creates apathy with the engineers who use it. He brought a few design analogies from everyday life and also examples in software engineering as well. He also encouraged the community to think about the next developer who is going to use your codebase as a customer and care about her/his experience and productivity. We then had a short break for some pizza, drinks and socialising. Following this break, we turned our attention to Mathieu Gathron, an independent tech consultant. Mathieu focused his presentation on how to improve reporting capabilities of peer2peer lenders using Spark Dataframes. He demonstrated using an example peer2peer provider how to extract data from the files it sends to its customers, by processing them effectively and producing a result that will satisfy reporting requirements for end of tax year submission. Using a distributed data collection which is persisted into named columns, one can perform operations on the data like filter, aggregate, and count, to produce desired reports. We finished the evening by discussing the talks, exchanging ideas and networking. We hope to host the next ClojureCircle event in a few months. If you would be interested in speaking at a future event then please reach out to Sasha Gerrand or Jamie Smith via engineering-talks@fundingcircle.com. Follow Funding Circle Engineering on Twitter. Spread the word! A recording of the meetup is available on YouTube.